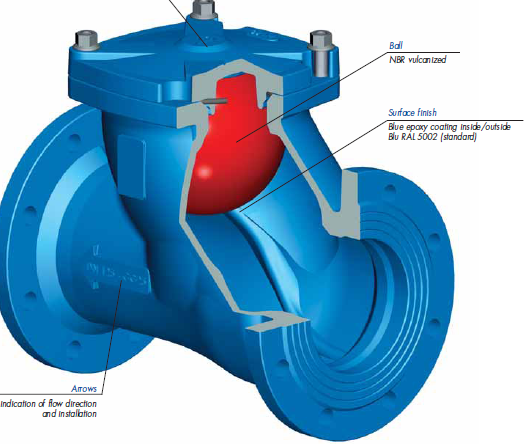 The valves in series 07 are ball check valves made of ductile iron, and are manufactured in accordance with the most severe product norms, and in conformity with the quality requirements of EN ISO 9001. 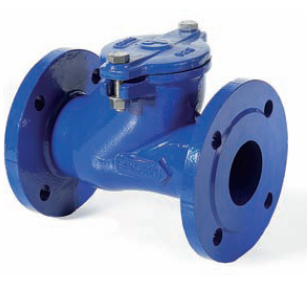 They are available in a PN 10 flanged version, from DN50 to DN250, and in a threaded version, from DN25 to DN80. YES: for installing in a vertical (recommended) and horizontal position. Full bore, low head losses, self-cleaning. 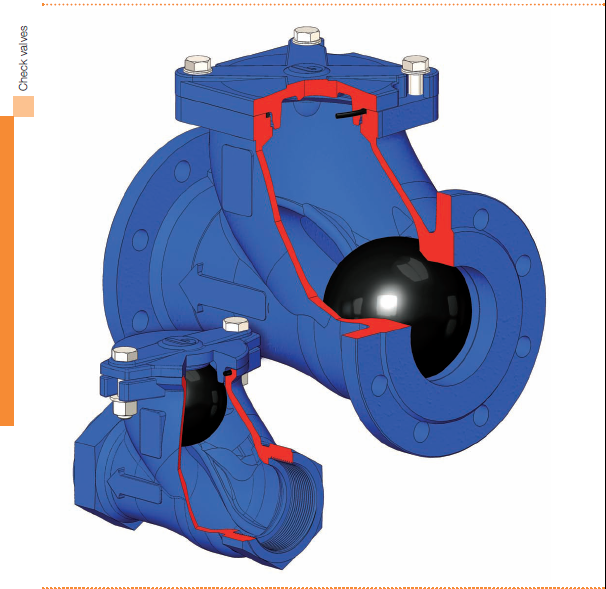 Removable bonnet for cleaning or changing the ball without removing the valve from the pipeline. NO: for steam and gas.